My friend Josh called me up in December and asked if I would mind if he used his annual Christmas gathering of friends to raise money for Bennett. 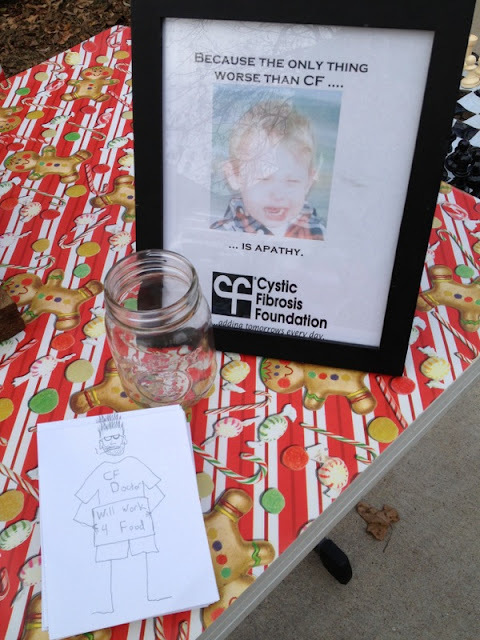 He had wanted to put a "tip jar" out on the table to allow for friends of his to donate to the Cystic Fibrosis Foundation on behalf of Bennett. Of course, I said "yes" as Brian and I felt very touched by such a generous act. This wasn't an event put on by us. 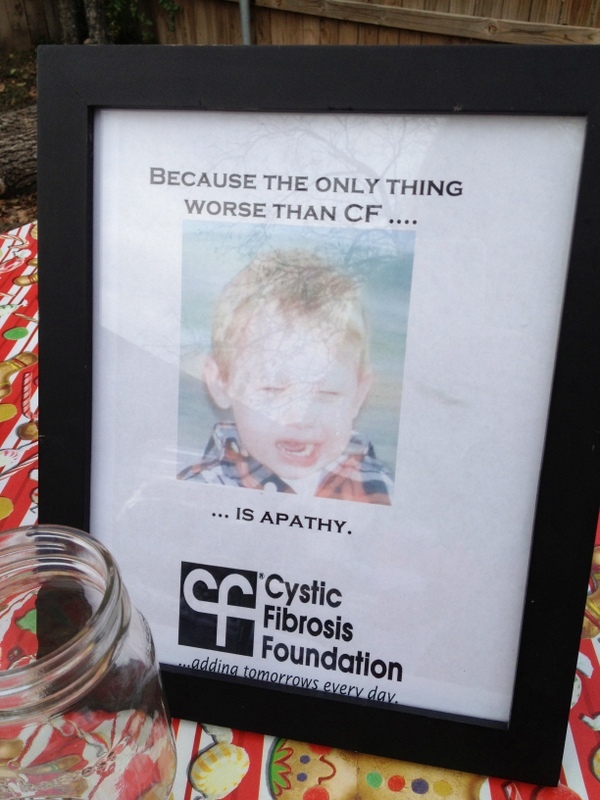 It was a friend's event that he wanted to use to help donate money to find Bennett a cure. Josh's passive tip jar ended up raising $156 which he just officially donated to Bennett's Brigade. Every penny is appreciated. 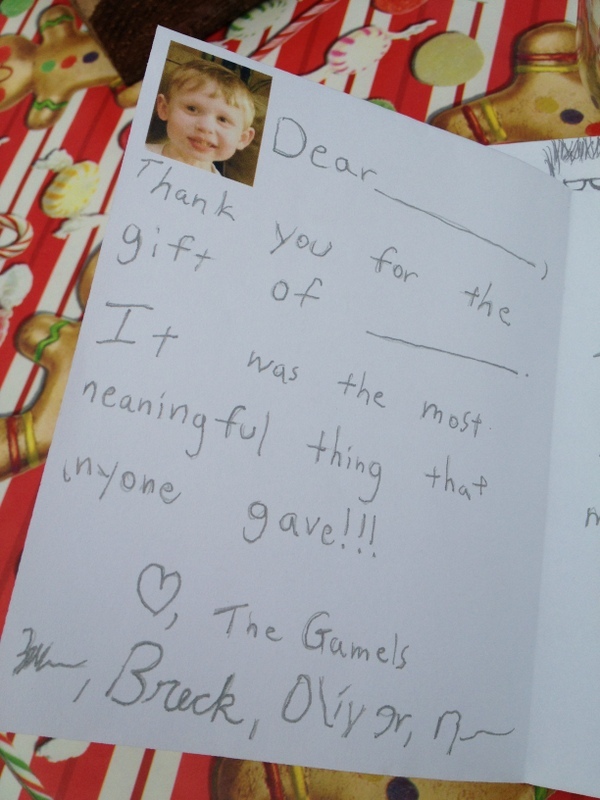 But just as much as the financial gift, the gift of offering to do something on Bennett's behalf is what's touching. I love how Josh created his own sign, which he framed, to encourage others to give. This picture of Bennett was from a few years ago when Josh and Linsday and Brian and I took all of our kids to the pumpkin patch. I thought he did a great job on that poster. It's moving. 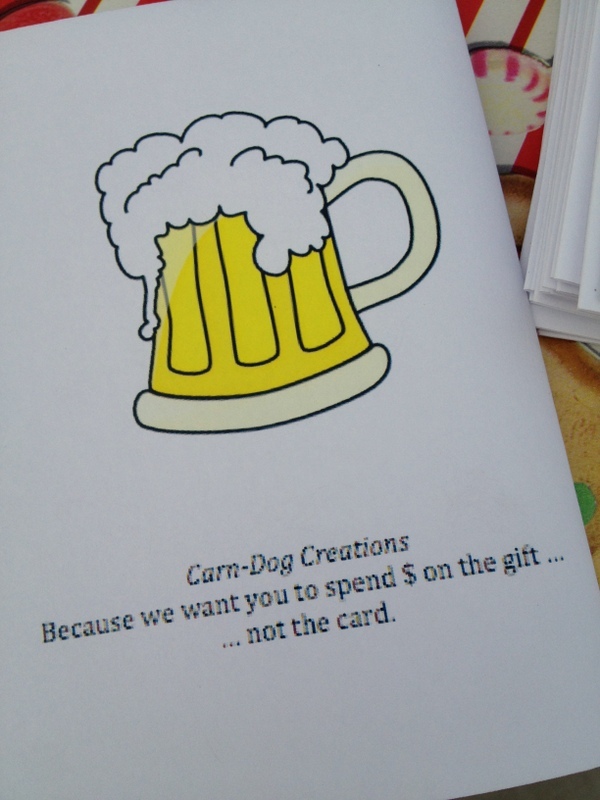 Josh also made thank you notes, which I thought were clever. 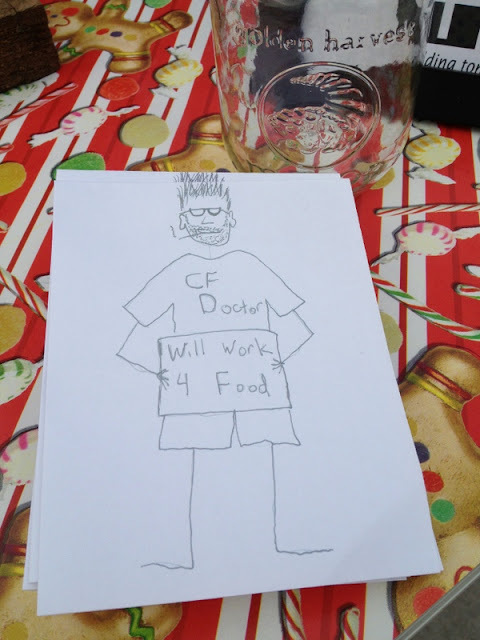 The front is a picture of CF doctor who is homeless and holding a sign that says, "Will Work 4 Food." Inside, the card says, "Because of your generousity, these guys might lose their jobs. 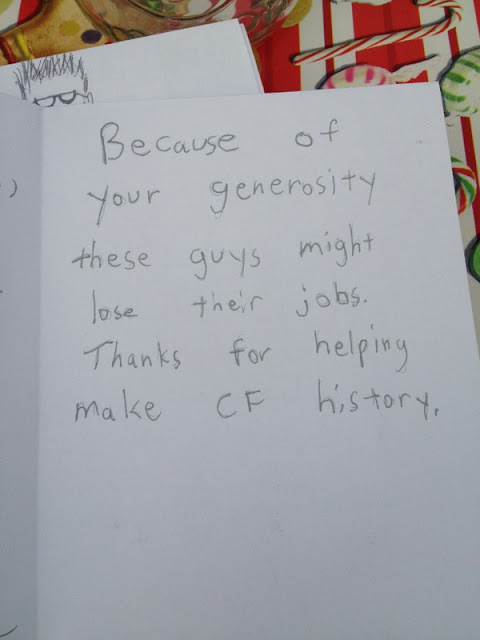 Thanks for hleping make CF history." Thank you Josh and Lindsay for all that you do for our family - the way you love us, the way you build into our lives - and the way you help us try to save our son! !